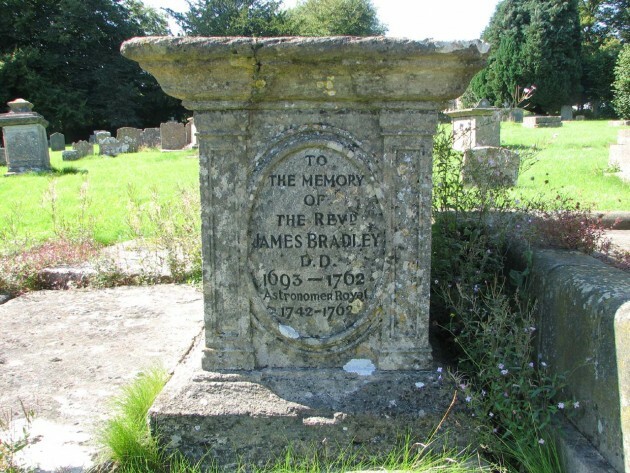 Memorial plaques etc: 1. 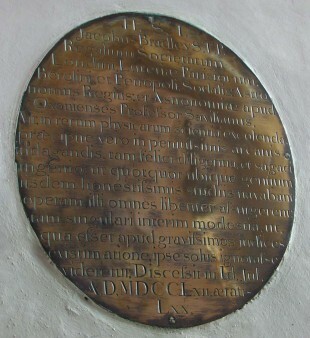 Oval brass dedication plate inscribed in latin. Originally afixed to tomb, but now mounted on wall at west end of north aisle. 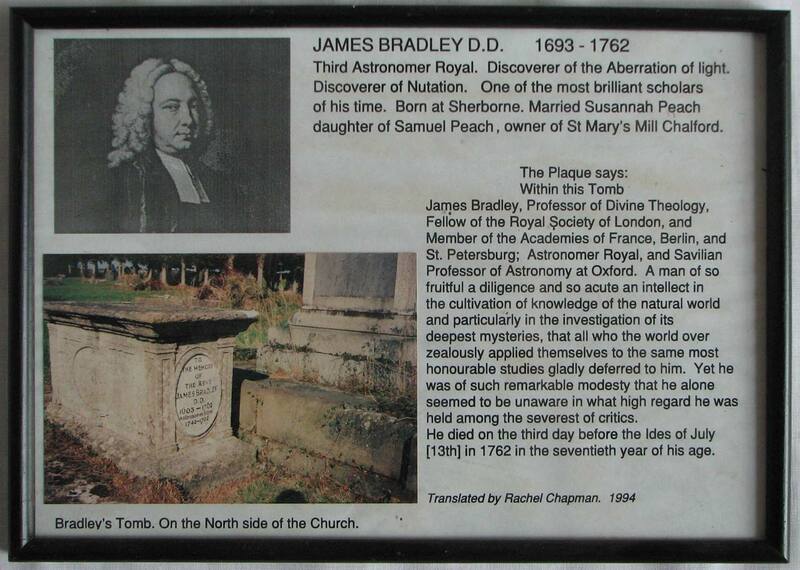 The third Astronomer Royal, James Bradley, both began and ended his life in Gloucestershire. 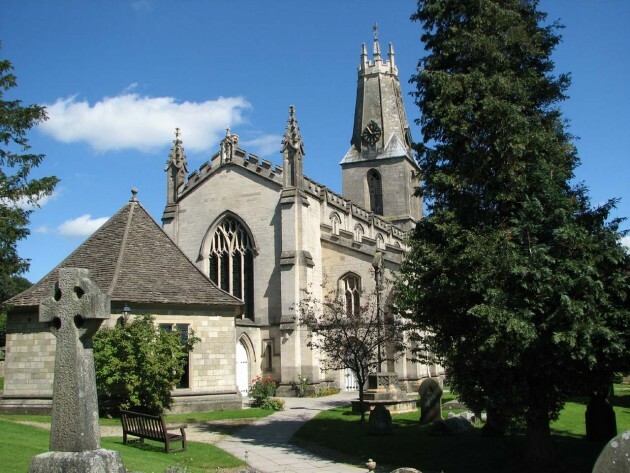 Born in Sherborne and baptized there on 3 October 1692, he married Susannah Peach of Chalford (in the parish of Minchinhampton), on 25 June 1744. 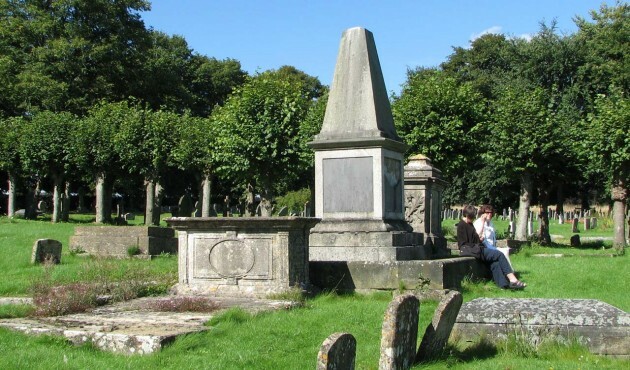 After his wife’s death in 1757 he maintained close contact with her family, and as physical illness set in he went to stay with them at Chalford where he was cared for by a local doctor, Dr Lewis, and by Dr Daniel Lysons from Oxford. 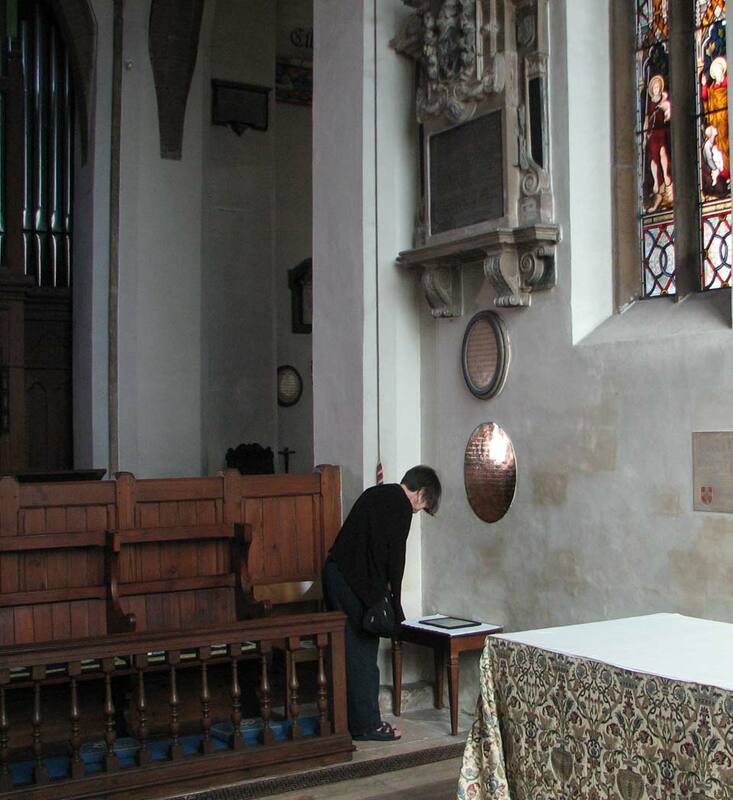 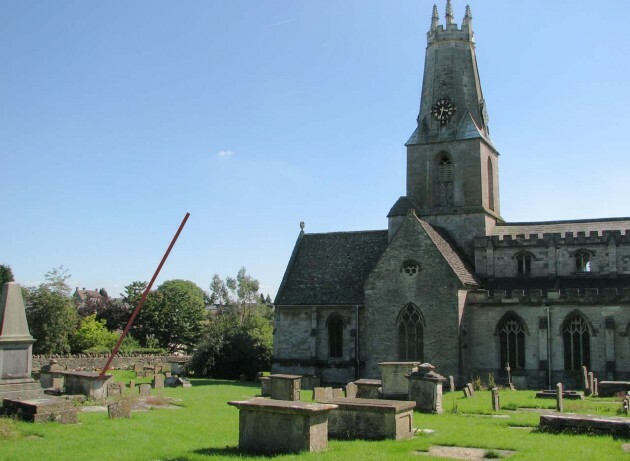 On 13 July 1762 he died from chronic abdominal inflammation and was buried near his wife and his mother in the graveyard of the Church of the Holy Trinity, Minchinhampton. 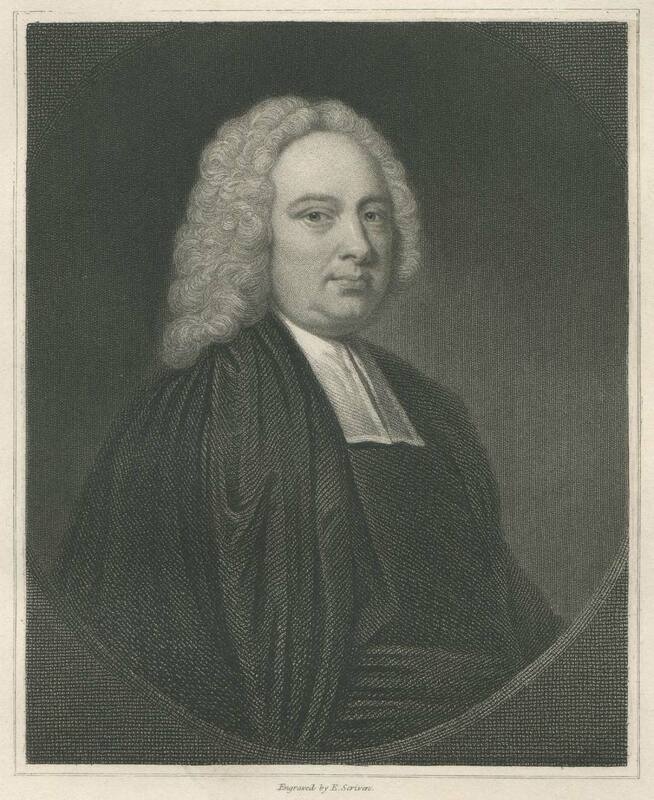 A transcription of his will was published in Miscellaneous Works and Correspondence of the Rev. James Bradley, (James Bradley and Stephen Peter Rigaud. Oxford, 1832). 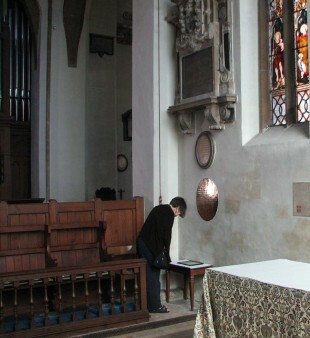 This volume also contains details of the tomb and the attempted theft of the brass inscription plate that once adorned it.